The Kaduna State Government recognizes the importance of digital transformation to achieve our set development objectives. As a State with a population of nine million people, 75% of whom are below the age of 35, it is essential that the youth are provided with the digital literacy skills that will empower them to leverage the digital economy for economic opportunities. 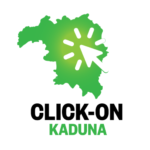 The Kaduna State Government has the pleasure to launch the Click-On Kaduna programme in partnership with the World Bank Group and the Rockefeller Foundation. Under the Click-On Kaduna umbrella, a set of digital programs have been designed to train the youth aged 18-40 including women and disadvantaged groups with digital skills and digital entrepreneurship skills. The programme will lay the foundation to build a youth-based tech-savvy work force in Kaduna State. This is essential to harnessing emerging opportunities, supporting productive employment and job growth. The Digital Skills Development Programme will arm youth with basic and advanced digital skills to support increased technology adoption and innovation in the state. While the Digital Entrepreneurship Programme (KAD-DIP) will support the development of an ecosystem that will support firms to generate innovative products and services leveraging new technologies and business models. Both programmes will provide access to mentorship support, extensive networks, soft skills development and exposure to global digital economy issues. So, if you have great ideas, passion and drive, then the Click-On Kaduna is the right programme for you! The Digital Skills Development track will support you to develop your digital skills whilst the digital entrepreneurship track will support you to develop and digitally transform your ideas into a successful business. Click on the tabs below to learn about the different Click-On Kaduna programmes. Once you identify the one that most aligns to your talent, hit the “apply” button and join us on this very exciting journey into the digital economy and become part of the digital era transformation.